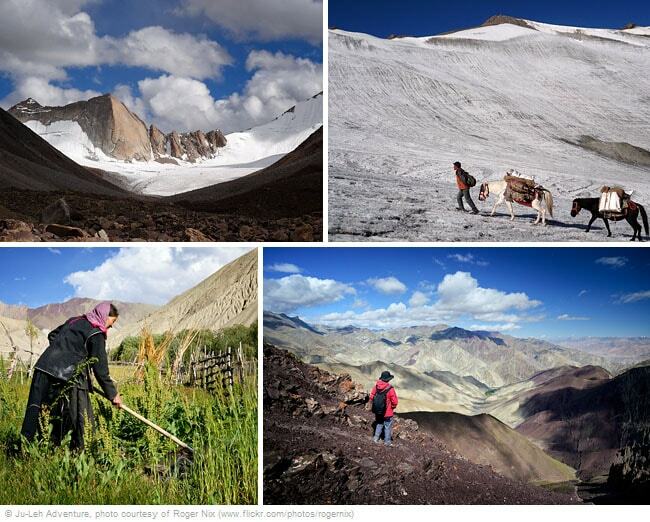 This trek follows an ancient trade route connecting the Indus and Nubra valleys which was part of the old Silk Road network stretching from India to Central Asia. 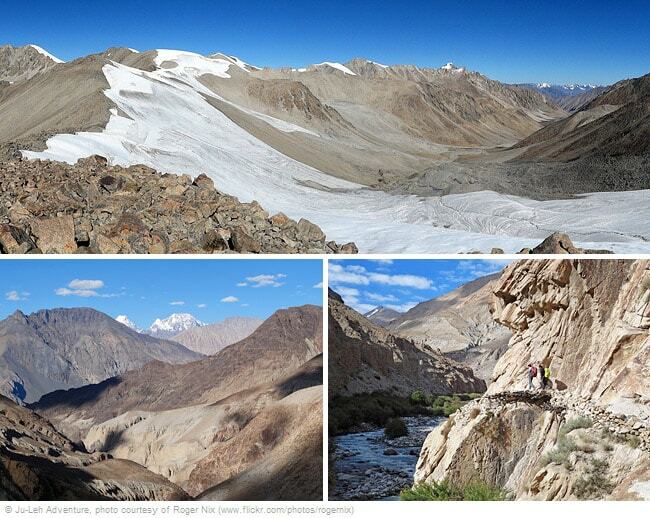 The trail goes through one of the least visited areas in Ladakh. The beauty of the untouched landscape, the stunning views from the high pass of Lasermo La and the beautiful valley of Hunder Dok will leave you spellbound. The trip will start with a 2-day "acclimatization" trek from Zingchen to Stok with one night in a homestay in the charming village of Rumbak. On the last day, you will visit the main highlights of the Nubra valley before returning to Leh through the Khardung La pass, the world’s highest motorable road. Day 1: Leh to Zingchen by car, visit Spituk monastery on the way. Drive to Phyang and visit the monastery. 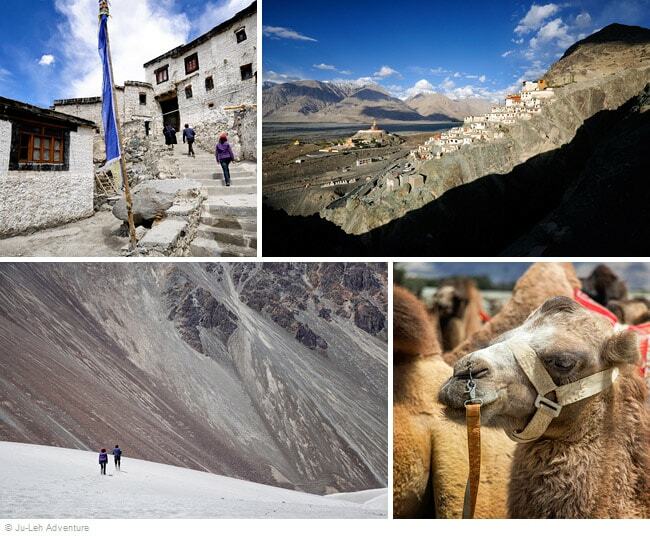 Day 8: Visit the Nubra valley by car: Hunder sand dunes, Diskit and Sumur monasteries. Drive back to Leh via Khardung La pass, the world’s highest motorable road. 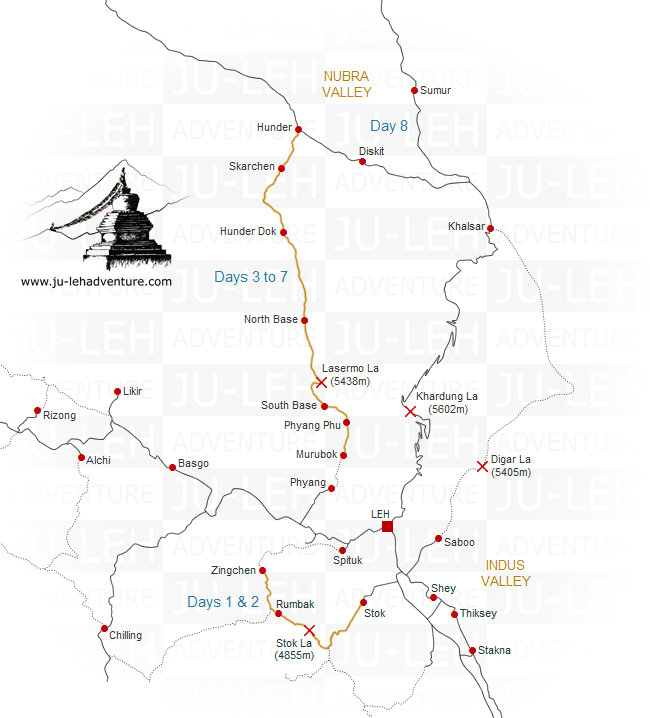 An optional single supplement of Rs.3,600 is available for those who wish to have a single tent during the trek. Single room is not available at the homestays in Rumbak and Hunder. You can opt for the single supplement after you book by contacting us.